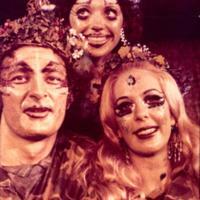 This photo from the Spring, 1973 production of, A Midsummer Night's Dream, shows Dr. David Clayton, left, as Oberon, Jackie Wood back, as Puck, and Jo-Anna Smelser, right, as Titania. Photographs from the Virginia Wesleyan College Department of Theater - Communications presentation of Brecht's, The Caucasian chalk circle. 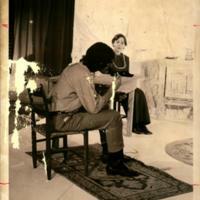 The production ran from November 12-15, 1973. 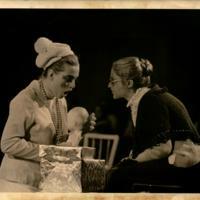 Photographs from the Virginia Wesleyan College production, Blood wedding, by Federico Garcia Lorca. 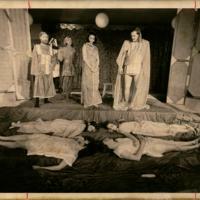 Blood wedding was presented by the players on November 14-18, 1972 and directed by Rick Hite. 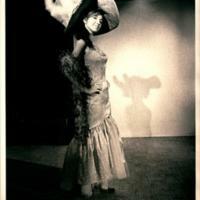 A scene from the March 1972 production, A midsummer night's dream, presented by the Players of Virginia Wesleyan College and directed by Bentley B. Anderson. 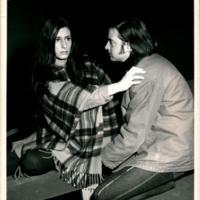 This scene from the Virginia Wesleyan Fall 1971 production of Edward Albee's "The American Dream" shows Francie Staughan, left, and Aya Lamb, right..
Sharon Hankins and Tom Selover rehearse for the upcoming production of Electra (Elektra), performed by the Virginia Wesleyan College players, March 11-14, 1970. The production was directed by Rick Hite. 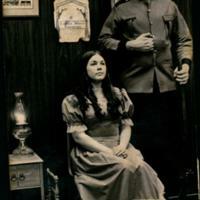 Julia Lucasti and Philip Guzelf perform in Virginia Wesleyan College's Player production of Goldoni's, The Servant of Two Masters. 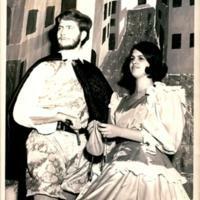 The production was directed by Rick Hite, assistant professor of drama at Virginia Wesleyan College.